In my previous blog post, I explored how reinforcement learning is taking the guesswork out of marketing to deliver great experiences. Let’s take a look at two additional areas where AI is transforming the customer experience: recommendations and natural language processing. We’ve all had online shopping experiences where an item is recommended that seems so irrelevant, and we realise this company does not understand us as a customer at all. There are typically two approaches to recommendations. The customer-centric approach looks for similarities in the behaviour or characteristics between users or customers and recommends products that other similar users have bought. A product-centric approach looks for products that are associated with each other and is helpful when you don’t know anything about the customer and their characteristics, other than they’ve shown some interest in a particular product. In this example, the product most associated with what the customer is interested in is recommended. Scale: As a recommendations database grows, the performance decreases, and you start to get trade-off between performance and prediction accuracy. Cold start: This challenge appears at early stages of a recommender system’s life cycle, or when a new visitor or product is added to the system. If you don’t have enough data about customers or items, the recommendations won't be that smart. Sparsity: Many customers view only one product, or no products at all. Alternatively, many of the products may have never been viewed or rated. Both these scenarios are examples of sparse data sets, and the recommendation engine struggles to find the common behaviour patterns or relevant associated products. The result is a long tail of products that are ignored by the recommendation system. Artificial intelligence can give recommendations engines a real boost. Machine learning algorithms that combine both customer-based and product-based recommendation algorithms can overcome scalability, cold-start and sparsity challenges to improve results for the retailer as well as delivering a much improved customer experience. 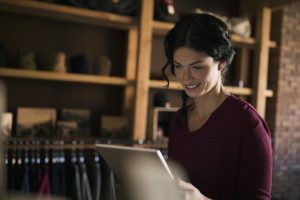 These days, customers interact with brands in many ways: social media and digital channels, phone, email, webchats, letters, surveys and reviews, and in stores. Each of these interactions contains an opportunity to garner rich insights into customer intent and sentiment, what customers want, and how they feel about the products, services, and experiences being delivered. Natural language processing combines machine learning, AI and linguistics and can automate and quantify customer feedback and insights across every customer interaction, regardless of channel. Capturing insights at scale allows you to accurately quantify the size and shape of opportunities to improve the customer experience and prioritise which investments will deliver the most impact, both to customers and to the business. What’s more, this level of insight down to an individual customer, gives businesses the power to make more effective and profitable decisions about customer strategy and fuel 1:1 customer experiences. Nationwide Building Society uses natural language processing from SAS to take their industry-leading customer satisfaction to even greater heights. The solution analyses data from textual interactions to identify root causes of customer dissatisfaction and implement improvements. Nationwide has used the results to identify several concrete ways to make their service legendary. At the same time, the discovery that 25 per cent of interactions could be moved to digital channels is supporting the society's digital transformation journey. These examples really highlight how artificial intelligence is taking customer experience to the next level by injecting machine intelligence directly into the customer interaction. The future of customer experience will see more widespread adoption of AI across brands of all sizes, but it's the organisations that are embracing AI today that are already setting themselves apart from competitors and delivering winning customer experiences. Find out more about how organisations are preparing for AI in the e-book: The Enterprise AI Promise: Path to Value.